From custom bathroom vanities , bars ,to custom cabinets and bookshelves, custom designer hoods, and entertainment centers we build anything and everything. You dream it and we will design it to your specifications and build it. New ideas floating around in your head? We can help you realize your vision. From commercial projects, to your personal home we can help your project reflect your taste and style with our craftsmanship. 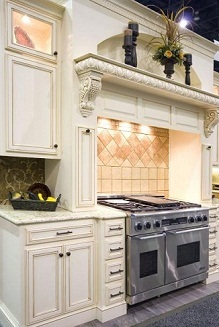 All Home Improvement is proud to offers a wide range of custom furniture. From simple to elegant . Solid wood is used for the construction of all furniture and custom finish of your choice. We are strong believers that pictures are worth 1000 words and they can reflect the quality of the product so look below at few ideas. All Home Improvement can build deliver and install any type or style , or you can have your own contractor install it for you.